Position of Executive Director for ArtServe serves as a visionary Administrator reporting to the President of the Board of Directors. This is a dynamic role for a highly motivated, innovative, engaging, visionary and passionate leader who understands the impact on communities. The Executive Director is accountable for all aspects of the organization which includes strategy, fundraising, marketing and public relations, development, exhibits, events and programs, facilities, financial management, technology and security. The Executive Director is also directly accountable for the guest experience, membership expansion and continuous growth of ArtServe. Success in this role requires moving the organization ahead while preserving the qualities from which ArtServe has derived its success. The ideal candidate is a hands-on leader and motivator committed to fostering a positive and forward thinking environment. The following illustrative responsibilities are not intended to describe every function that may be required by position of Executive Director to successfully lead ArtServe. The omission of specific statements or duties does not preclude the Board from assigning additional duties which are industry standards and advance the organization. 3. 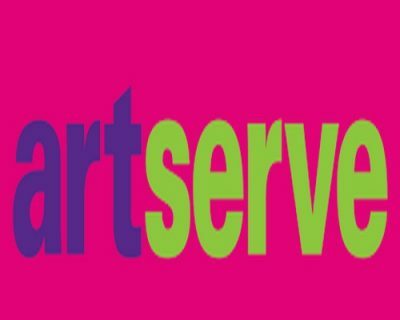 Serve as a leader and influencer in the community, and the local arts and cultural community to promote ArtServe, and its role in the arts and education industry. academic institutions, school districts, media, county and city representatives. 5. Lead large scale development and marketing efforts that expands ArtServe’s profile, brand and presence in the community and local levels. ensure the financial health of the organization. from public, corporate, foundation, and individual sources; effectively balancing income and expenditures. 8. Oversee ArtServe’s day-to-day activities including administrative, fiscal management, exhibits, programs, events and familiar with facility management, technology and security. 9. Knowledgeable of print, radio, social media, and other forms of communication to bring visitors to ArtServe and foster the organization’s growth. 10. Continuously grow diversity, and expand the organization’s role in the community serving visitors through high profile exhibits, programs and guest experiences. written communication skills. A proven development and fundraising track record is required. Work schedule will include evenings and weekends. Salary commensurate with experience. Benefits are included.